CELEBRITY car customiser Yianni Charalambous along with his army of staff are set to return to TV screens later this year after the first series of Supercar Customiser brought nearly half-a-million new viewers to UKTV. 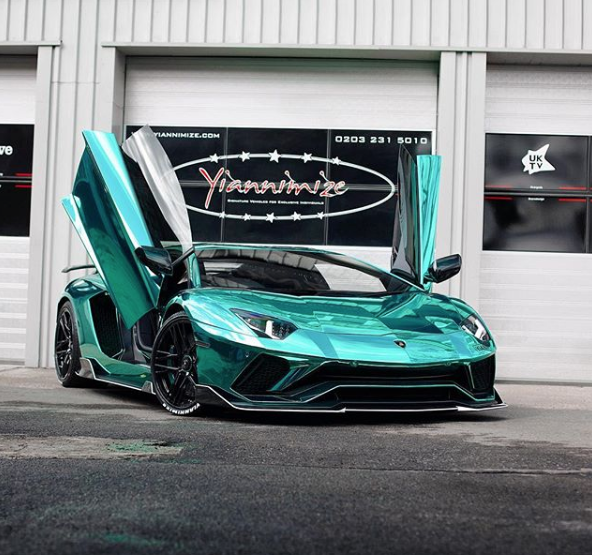 Bosses confirmed that the first series of Yianni: Supercar Customiser is one of the most watched series on the network’s streaming service UKTV Play in 2018. Yianni, who has over a million subscribers to his YouTube channel, will lift the garage doors of his North London unit once again showcasing even more of the team’s flash and wild creations. Hilary Rosen, UKTV’s deputy director of commissioning, said: “Yianni has star quality. He’s a truly engaging new talent and Barcroft delivered a superb first series. Yianni added: “I like to push myself when working on projects and series one went down so well I need series two to be even better.